The fearsome Dragon Robot game returns and he’s bigger than ever before! With a whole arsenal of destruction and nothing to lose, the Dragon Robot will once again destroy the evil empire who wishes to end all of humanity and monsters once and for all! You have been created by a renegade scientist who used to work for a company that he once saw as innovators. That all changed when he realized they’re only using him to create a monster that’s powerful enough for them to take control of the whole planet. 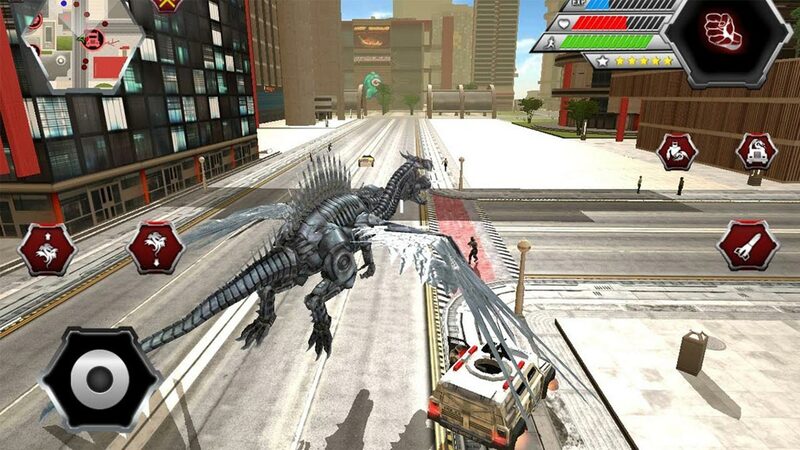 This Dragon Robot game is unlike any other that you have played before. Now as outcasts, you and the scientist have one mission: to stop the empire’s menace that only the Dragon Robot knows how — destruction! Become the giant everyone needs in this open world RPG that is considered one of the most fun 3D dragon robot games now on PC! Non-stop free-roaming dragon robot action! 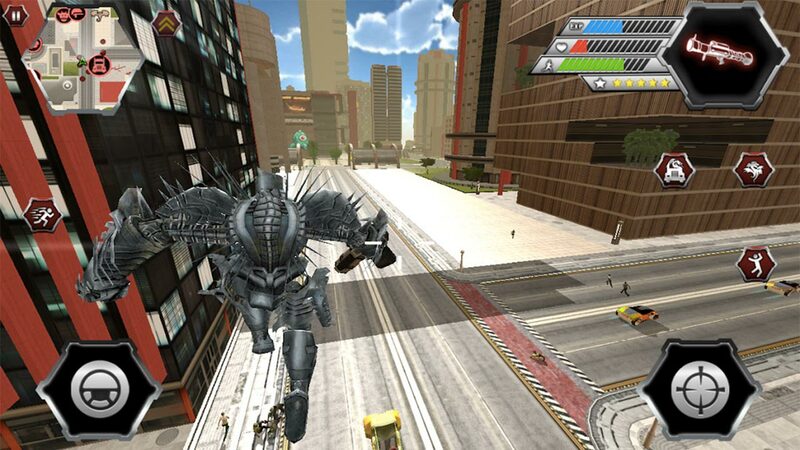 Inspired by the likes of open-world destruction game such as The Incredible Hulk, Prototype, and Destroy All Humans, the Dragon Robots 2 game is all about chaotic fun! 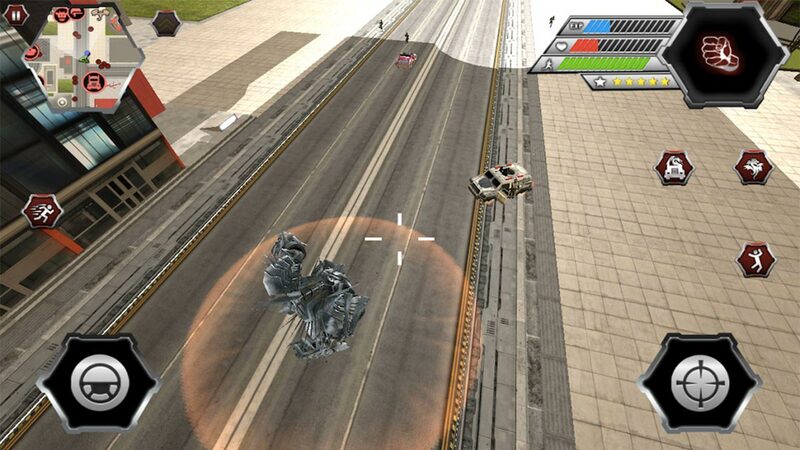 Sprint through the highways and roads as an athletic robot and step over your enemies that block your path or transform into a big-rig truck that can plow through any vehicle it encounters. 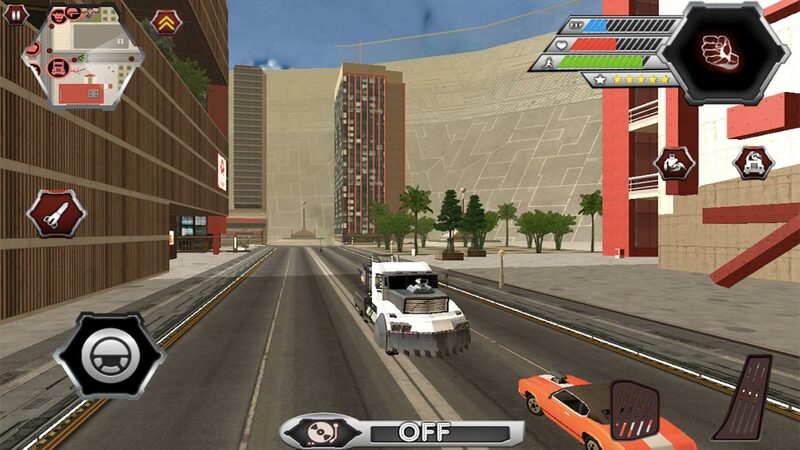 Missions are optional and you get to sprawl through the city either by land or air! Destroy everything you see! Don’t feel sorry about it. They’re all part of an evil organization anyway! You can be a tanky robot or a speeding truck but let your enemies tremble in fear by transforming into your ultimate form: a dragon robot! Become a 3-headed beast that spews unlimited missiles and fire onto your enemies! Destroy high-rise buildings with your powers! Simple aviation controls that let you take the flight up high above the city or fly low along the streets. What if you can make your robot bigger, better, stronger, faster? You can do so with the game’s easy skill tree! Upgrade almost anything for Dragon Robot including more firepower for the missile launcher, longer reach for the flamethrower, and more explosive hammer fists that can rival any Jaeger! The evil empire does not want to face you empty-handed. They got their own army of robots camouflaged as normal cars along the street! These robots may be tinier but they can be very overwhelming when facing even just two of them! These small but terrible robots will be your most formidable foes in the city. 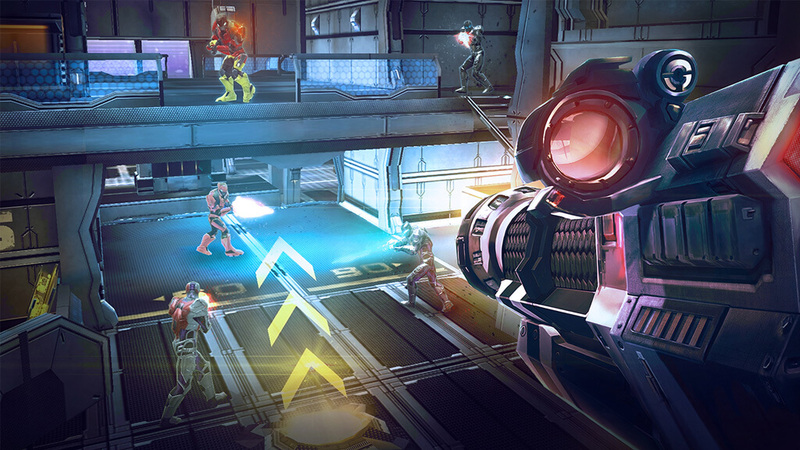 Battle them through a melee brawl or cause mayhem in the streets between you versus them in a laser fight! They’re not letting you go that easily either. Once you fly off, they’ll chase you down as jets! For an ironic reason, the game lets you become the most powerful robot in the planet, however, Dragon Robot dies easily complemented by a classic sad MLG meme song. To combat this problem, you need to upgrade your health at maximum. Don’t bother with anything else just yet. Your weapons and speed are incredibly powerful from the get-go anyway. Even the biggest robots need to flee to catch some breath and go back to the fight. When you feel overwhelmed with lots of baddies all around you, either transform into a truck or dragon and leave the combat zone. Go to somewhere safe and take your time to heal up. You’ll replenish health naturally. There is an exploit in the game if ever you’re tanky enough to absorb all the damages from all sides. When the robots, cop cars and soldiers come and chase you, circle them around. Eventually, they’ll gather together in a tight-knit formation. When they finally do, keep on spamming your fists to the ground or do a jumping jackhammer combo. The missile launcher is good too. Don’t bother with your rifles anymore. They don’t do much in this dragon robot game. If you want to try out other role-playing games like this one, then check out Avakin Life – 3D virtual world and Monster Legends – RPG! your Dragon Robot 2 installation.